We pop some bottles and Xell-ebrate the launch of our new webshop. 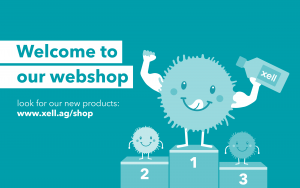 Now you can order Xell´s chemically defined high-performance cell culture media and feed solutions easily online. Take a look and register now to order your free samples!